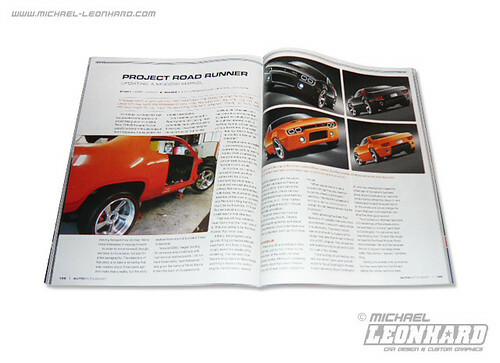 In their current November issue Auto Enthusiast Magazine brought a four page feature on the progress of the Road Runner Concept build. It’s great to see that the project gets the attention it deserves – especially for their builders King Hardeman and Pierre Mabile. Get to know more and check your local news stand for Auto Enthusiast Magazine. You are currently browsing the Michael Leonhard's Blog blog archives for October, 2011.